Apollo is an Internationally Renown Environmental Artist. 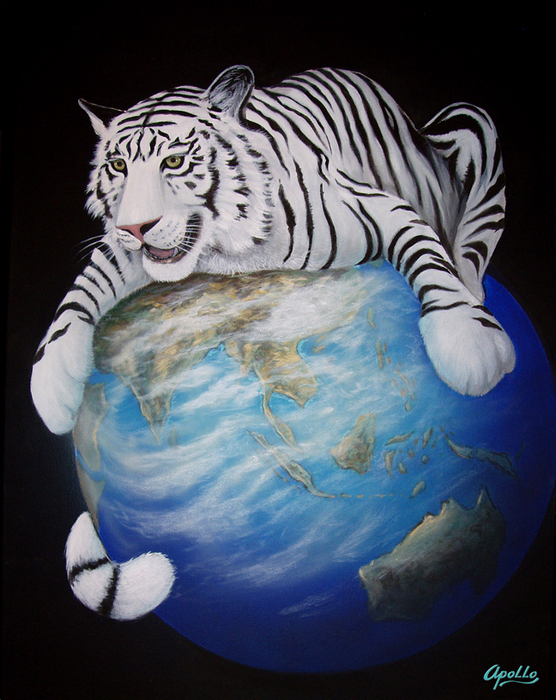 Apollo, is best known for his Marine Life, Endangered Species, Endangered Habitat and Tropical Art. He combines the style of realism with a touch of animation. Apollo captures the essence of spirit in his subjects and reveals their beauty on canvas. "The beauty of our planet should be held in respect as well as reverence and awe! As the caretakers of this precious jewel called Earth, it is our duty to become more harmonious with our environment; for what we hold in our hands is a trust for future generations. *Apollo's images of dolphins and whales have been used for promotions and products for several Fortune 500 Companies such as Mc Donald's (phone cards), Pacific Life Mutual (Annual Report), Hilton Corp (Dolphin Days), Crabtree Publishing (books on whales and dolphins), the Miami Dolphins (1972 to 2002 - 30th Anniversary as Super Bowl Champs 17-0), AT&T plus more! *Apollo was invited to China by the Foundation for American Cultural Exchanges. He taught a course at the Jilin Art and Animation Institute and was made a Professor of the College. *Apollo is currently the Vice President of Artists of America, a nonprofit that nourishes the next generation of artists by sponsoring art lessons for underprivileged and foster youth and kids at risk. To see details on these and other exciting things that have happened in Apollo's career click the links below. 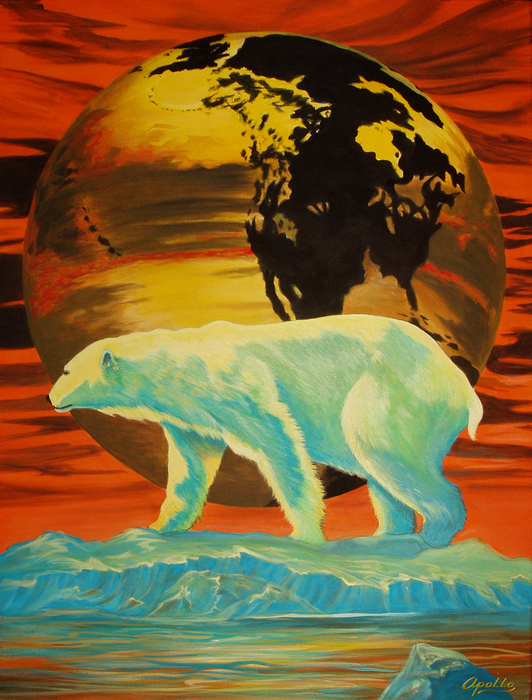 "Bearly Global Warming" This Painting by Apollo represents the results of Human Activity on Planet Earth!